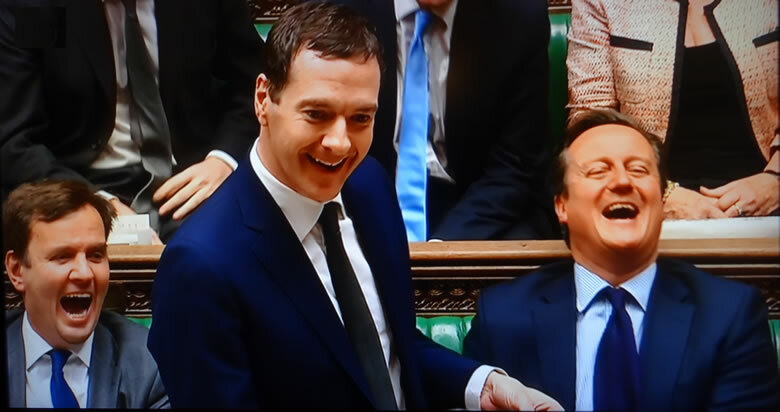 So it is pretty clear that George Osborne does not think Theresa May can cling on to her premiership for much longer. 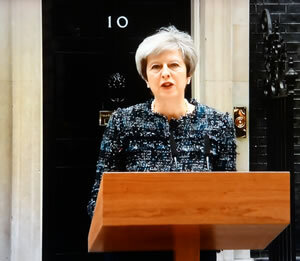 What's clear is that the election result has thrown the Tory party into a state of chaos, and so the very last thing the Tories and nation need right now is even more chaos by triggering a leadership election. So in my opinion the time to resign has come and gone i.e. on the morning of the election result. Therefore despite being a 'dead woman walking' she is likely to continue as a crippled Prime Minister at least until Octobers Tory party conference as her resigning now could even trigger another general election probably before the end of August which is the very last thing a crippled Tory party will be seeking given the momentum that Jeremy Corbyn has built up that highly likely could see Labour at least as the largest party in another hung parliament or even win an outright election victory! So the Tories fearing another imminent general election resulting in the loss of more seats have probably decided to solider on with a crippled Theresa May, hoping that once the chaos of the election result storm has passed that in a few months time they will then be able to replace Theresa May with likely candidates amongst those who stood before with Boris Johnson topping the list and the Home Secretary Amber Rudd not far behind, and again with 'little finger' Michael Gove expected to play his game of tory thrones role. Meanwhile here collegues have been exacting their pounds of flesh, for gone are her two key advisors, and in comes 'little finger' Michael Gove as Theresa May attempts to write a Queens Speech that is palatable to the DUP. And whomever the Tories choose as their next leader and Prime Minister, one things for certain is that person cannot be as bad as Theresa May! We took her silences when compared to the froth of Bliar and Cameron as signs of strength and intelligence when in reality there was nothing there! The best word that describes Theresa May is AVERAGE! The election campaign revealed that she does not have a clue what she she is doing! The bottom line is the Tories fear triggering another election so at this early stage my best guessimate is that Theresa May is mostly likely to resign by or at the October 2017 Conservative party conference. Though should political chaos contineu to reign then the dead woman walkign may shuffle into early 2018. The following table illustrates the unexpected nature of the 2017 general election result that no one saw coming, as the pollsters once more were not just wrong but floating off into a fantasy land of a Conservative Landslide election victory where early on the consensus was for Theresa May's government winning over 400 seats! Similarly expectations were widespread for a Labour bloodbath loss resulting in an error of 87 seats against that which subsequently transpired. And where subsequently the pollsters did exhibit extreme volatility in their poll numbers that translated into a forecast of seats range for the Tories from 302 to 420. Whilst here are the final seat forecasts just prior to Thursdays vote, including my own based on the sum of my analysis of the preceding 6 weeks and separately based on my house prices based forecast which proved by far the most reliable forecaster for the outcome of the 2015 General Election, and once turned out to be the closest to the actual outcome. *YouGov forecast two opposite outcomes so that they could claim to have called the election outcome correctly whatever the result.